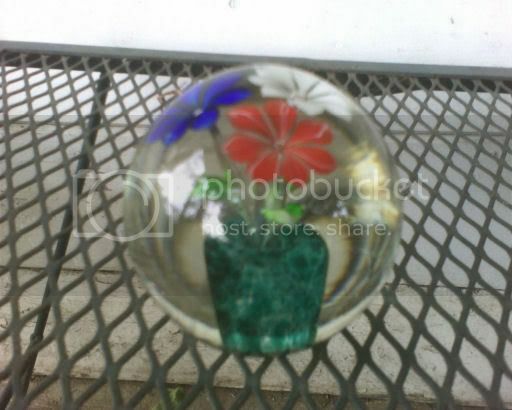 On http://cgi.ebay.ch/ws/eBayISAPI.dll?ViewItem&item=220062453700 a paperweight is offered as Strathearn. I would usually think of a Bohemian weight as first bet - with such a green "flower pot". I also couldn't find such a weight on Richard More's web page. What do other readers think it is? 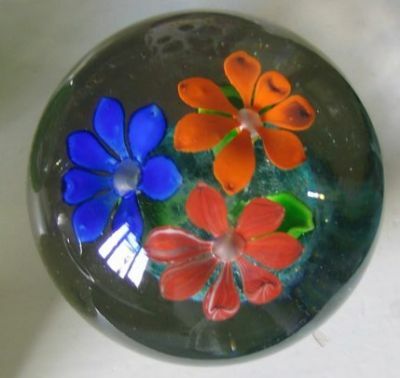 Interested in any aspect of Scottish glass? Have a look at Scotland's Glass. For information, I do not believe this paperweight is by Strathearn but could be 20th century Bohemian (Czechoslovakian). It might be one of several attributed to Frank Eisner, a Czech who worked in both England and Scotland. But the green pot form is not of the style usually seen in the Eisner weights and this may indicate Bohemian. The flowers have similarities to either source. Sorry - I had forgotten to mention that I also had mailed the seller, asking on what basis (s)he came to the identification as Strathearn. Well, with two hours to go and only at Â£9, I don't think anyone else thinks it is particularly good either! Probably would make more money if they listed it as Bavarian. I got one too. Still don't know what it is. 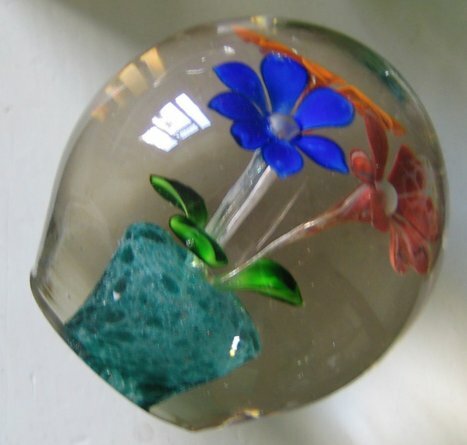 I collect Scottish and Italian paperweights and anything else that strikes my fancy. And at a very good price, Lynne! Well everyone keeps complaining ebay is keeping the prices down.... I am trying to put them back up again!! Page created in 0.96 seconds with 28 queries.